Pop art was an art movement rebelling against the traditions of fine art emerging around the mid-1950s from Britain and later in North America. This daring form of art was an expression of post war optimism in a youthful visual language. This art movement is often made up of popular imagery, rendered with a wit, colours and irony creating genius psychedelic pieces of art. 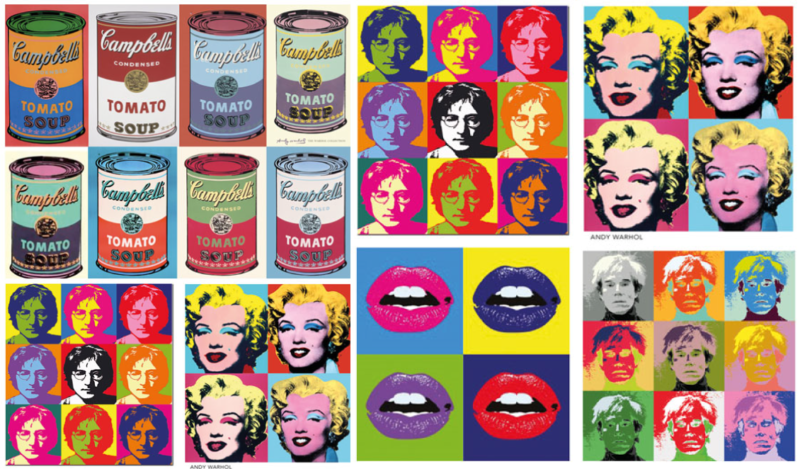 Andy Warhol‘s work are probably the most recognisable with his rendition of the Campbell’s Soup Can and Marilyn Monroe. Here’s an awesome source to learn more about Andy Warhol and his extraordinary life. Fashionably black & white like the Fashion Police. While having my eyes glued to the Fashion Police getting the latest scoop on the red carpet fashion, something caught my eye. Do you see that? The black and white statement pillow looks that is perched right next to Juliana looks rather much like Whimsical Lane’s very own Optical Illusion Pillow and it looks so chic sitting there right next to Juliana, Brad and Mellissa. 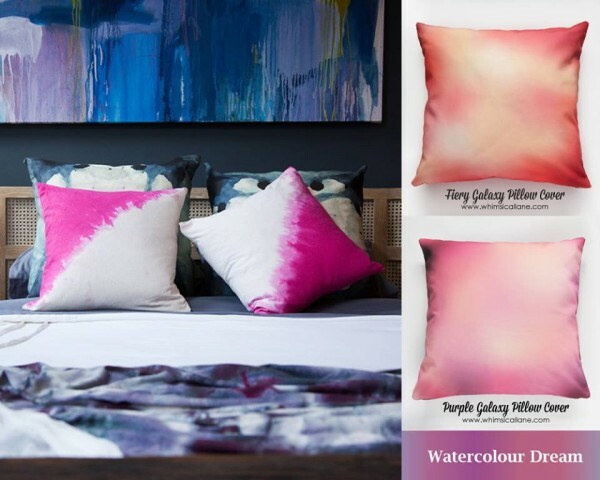 Watercolour pillows are absolute joy to decorate a space with because the print’s fluidity and irregularity provides an astounding level of visual interest; while the pattern and design of it is still widely acceptable.